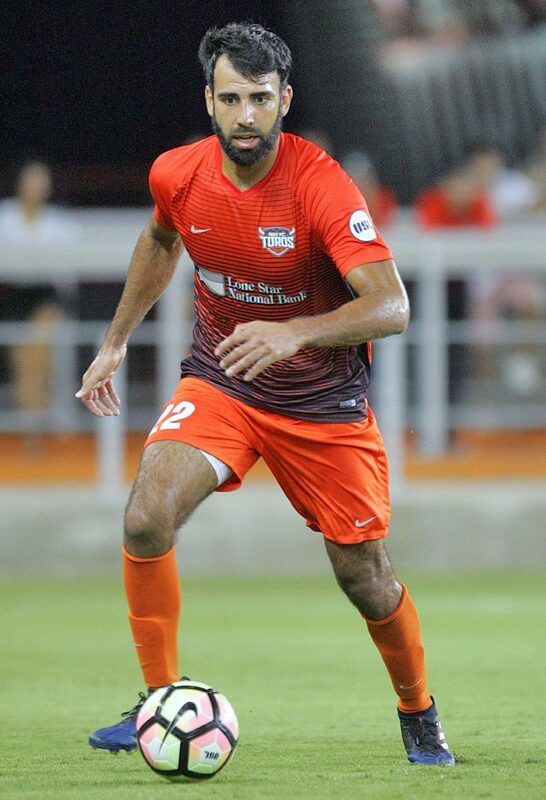 EDINBURG — The RGV FC Toros entered Saturday with a six-match winless streak. At home, the skid was even longer: seven matches dating back to June 10. RGV FC’s opponent, Reno 1868, had been unbeaten just as long, with six wins and a draw in its past seven outings. The Toros snapped all three streaks on Saturday, putting together a complete performance in a 1-0 win over Reno at H-E-B Park. RGV FC had taken three losses and four 1-1 draws at home since its last victory. Overall, the Toros had three losses and three draws in their past six matches. After conceding a game-deciding goal in the closing seconds of last week’s loss to Sacramento Republic FC, forward Kyle Murphy said the atmosphere in the locker room had hit a low point for the season. Defender Justin Bilyeu said the scene after Saturday’s result marked a major turnaround. Reno had grown used to that feeling, rising all the way to 14-5-7 on the year to rank third in the Western Conference after not taking a loss since Aug. 2. Reno’s 60 goals on the season was the highest total in the USL by nine entering Saturday, and 1868 still owns the league’s best goal differential at plus-28. 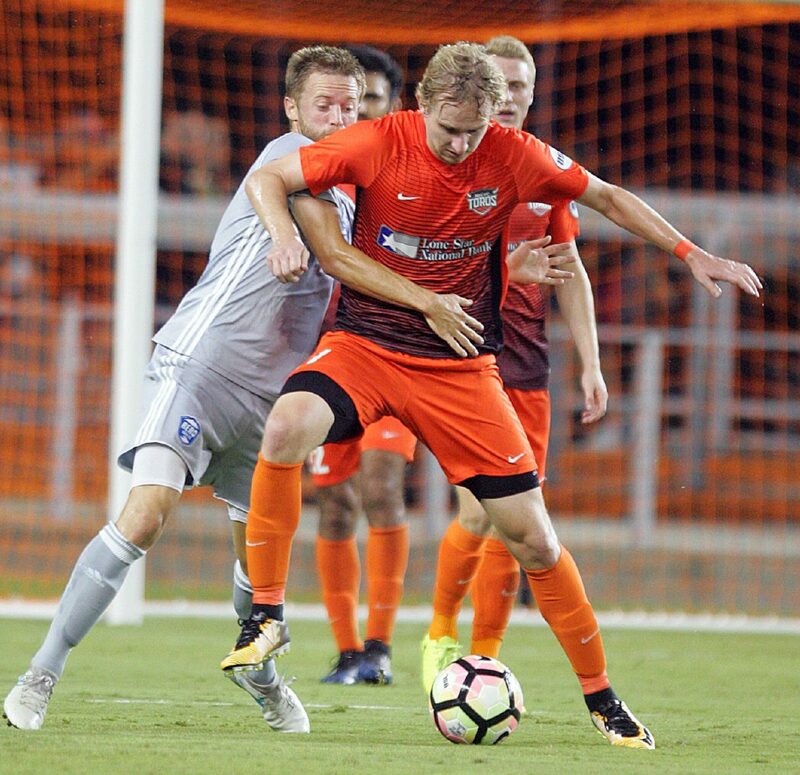 Despite Reno’s usual attacking prowess, RGV FC looked the more potent offense throughout Saturday’s match, launching 19 shots to Reno’s 7 and putting 7 on target compared to Reno’s 3. On the defensive end, Magalhaes said the Toros had extensively scouted Reno’s speedy forwards and diamond midfield formation on video. RGV was prepared to keep constant communication in the back to cut out passing lanes, Bilyeu said. As a result, the Toros picked up their first clean sheet since July 1 — a streak of 12 matches. RGV FC scored on a penalty kick by Bilyeu in the 32nd minute. Murphy drew the foul, entering the penalty area behind the Reno defense after receiving a deft through pass from Eric Bird. As Murphy crossed into the box, Reno keeper Matt Bersano charged forward and made a sliding tackle attempt, missing the ball but clipping Murphy on the left ankle. 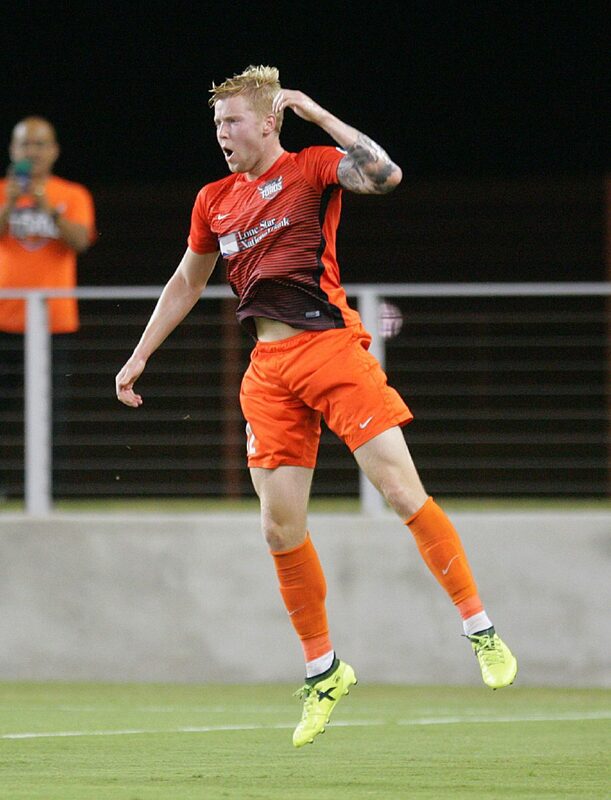 Bilyeu, a defender, fired the ball into the right side of the net for his first goal in 22 appearances with RGV FC. The Toros have struggled converting penalties this year, so Gonzalez said he wanted to go with a player Reno wouldn’t have scouted. Bilyeu had worked on his penalties in practice but hadn’t taken one in a match this season. Still, he said he knew exactly where he wanted to go with the ball when he stepped to the spot. 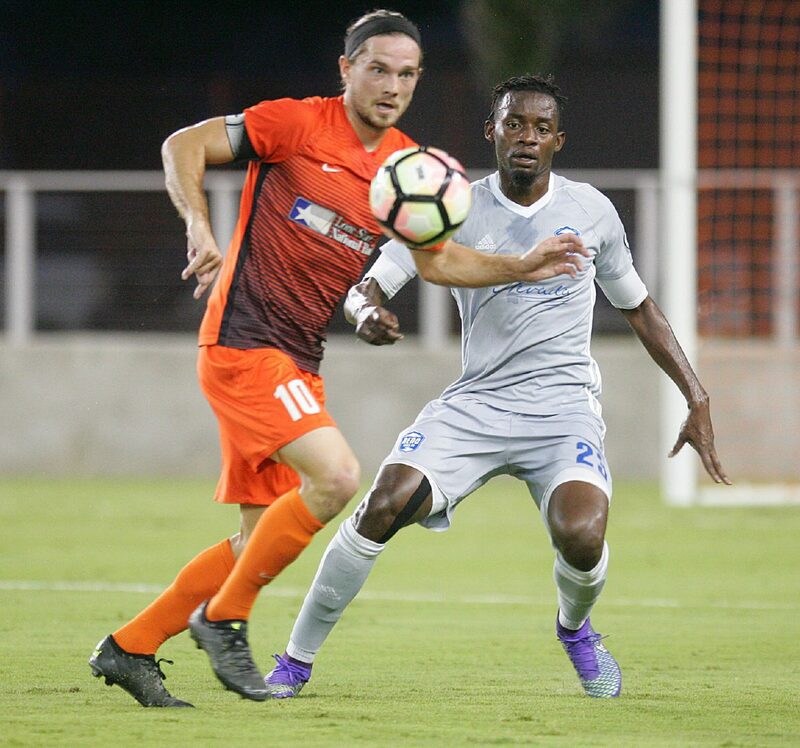 RGV FC’s lead became substantially easier to protect in the 79th minute, when Reno’s leading scorer, Dane Kelly, was sent off with a red card. Kelly, who ranks tied for the most goals in the USL with 16, was charging toward a ball in the box when he collided with sliding Toros keeper Calle Brown, kicking him in the face. The victory lifts RGV FC to 8-13-7 on the season, amounting to 31 points and a 12th-place standing in the Western Conference. The Toros are four points away from the eighth-place cutoff to qualify for the playoffs with four matches remaining.